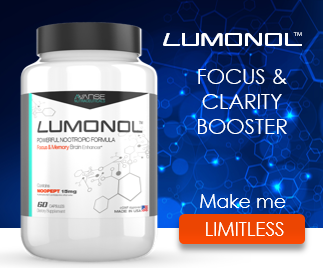 If you’re having problems with focus, find yourself easily distracted, or have trouble keeping a clear head then you can help from the powerful nootropic supplement Lumonol with Noopept. With all the different nootropic supplements on the market, all of which are making their own claims, it can be hard to separate fact from fiction. Our Lumonol review will help you do just that. Lumonol is actually a combination of three different blends of ingredients. The first is the energy blend. This blend contains guarana, hordenine, panax ginseng, and vitamin B12. All of these ingredients have been shown to improve energy and alertness and are found in many energy boosting supplements and drinks. The second blend is the focus blend. This contains the all-important Noopept, along with L-tyrosine, acetyl L-cranitine, and phospadictyl serine. Noopept is one of the key ingredients for improving focus and creativity while reducing brain fogginess. It, along with the other ingredients, help you avoid distractions and open up your mind to new ideas and possibilities. Finally there is the memory blend, which contains Alpha GPC and ginkgo biloba. 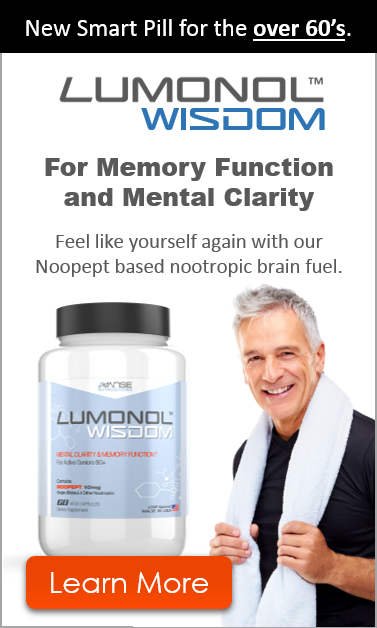 Nootropic supplements such as Lumonol are sometimes called “smart drugs” because they improve your focus, concentration, and memory. They are taken primarily by students in order to pass tests but they can also be used by anyone who does a mentally demanding or mundane job. It can be hard to stay focused if you’re doing something you consider boring or repetitive. Lumonol gives you the focus to make it through the day. Lumonol is one of those rare supplements that doesn’t just improve your mind; but also improves your body. Some of the ingredients in Lumonol are powerful antioxidants. Antioxidants have been proven time and time again to improve overall health. They fight infection, help you lose weight, and can even prevent cancer. This supplement is a great choice for overall health, as well as for mental health. Lumonol improves your mental performance in general. It makes you think sharper and clearer, and cuts through any mental fog holding you back. Your mind becomes clear and it becomes easier to think on your feet. It relaxes you and opens you up to a whole new world of creative possibilities. Writers enjoy nootropic supplements because of this benefit. Another benefit of nootropics for students is that they improve working memory. It’s much easier to retain and recall information after taking a nootropic supplement. They are ideal around exam time when you’re trying to cram as much information in your head as possible and then recall it all when the big day comes. 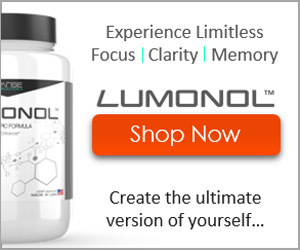 Lumonol certainly has all the right ingredients to be a powerful nootropic supplement. The company makes a lot of boasts about the product but we can say that they back them up. The benefits of Lumonol have been proven and the supplement is made from high quality ingredients in the proper facilities. If you want a little more out of your Lumonol then the company even offers their own Lumonol stacks. Lumonol is available stacked with the Nova supplement, which gives you plenty of energy and improves your mood, or you can buy with the Luna supplement; designed to help you sleep at night. No matter which version of Lumonol you get you also get a 90-day money-back guarantee to ensure you come away from your purchase satisfied. To get your bottle of brain juice, head over to Lumonol for your risk free order.